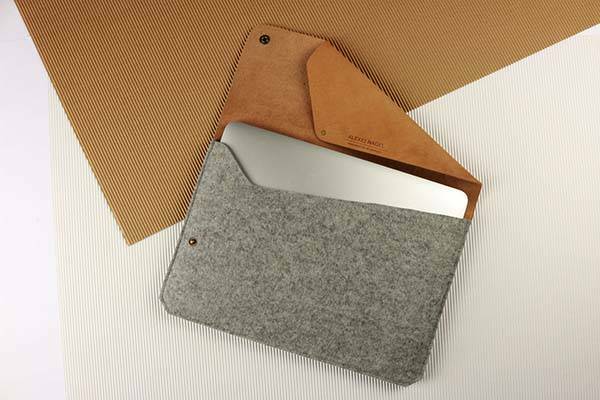 The handmade felt and leather sleeve delivers a sleek way to hold your MacBook Pro or MacBook Air. Like the design? Let’s have a look. This is a beautifully designed and well-crafted protective sleeve handmade by alexejnagel, a small handicraft studio from Hamburg. The sleeve works with 13″ MacBook Air, MacBook Pro and MacBook Pro Retina. 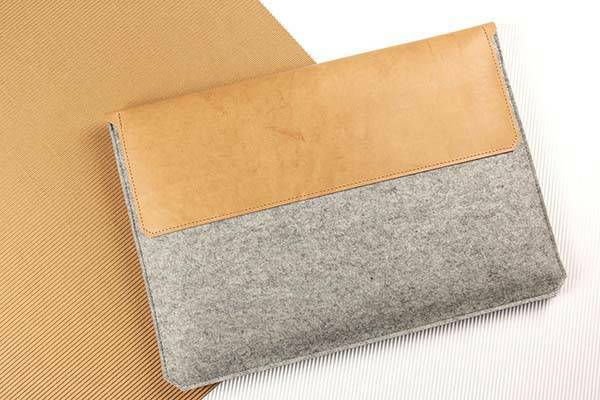 As we can see from the images, the MacBook sleeve features an elegant and stylish appearance design, and the combination of felt and vegetable tanned leather not only delivers a durable construction, but also shows off classic and retro aesthetics. With soft felt body, the MacBook leather sleeve gently holds your MacBook Pro or Air and protect it from bumps and scratches. Meanwhile, a small pocket has been built in front of the case in order to hold some accessories including earphones, charging cable and more. The discreet rear inner pocket is designed for your business cards, credit cards, smartphone and other important things. In addition, a press button on the left hand side keeps your device securely in place. 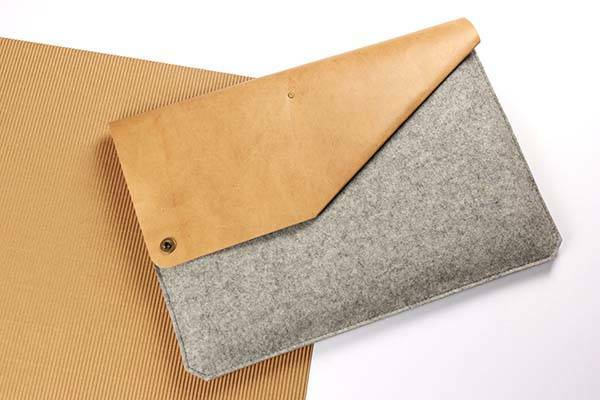 The handmade felt and leather sleeve for MacBook Pro/Air is priced at $88.52 USD. If you’re interested, jump to Etsy for its more details.